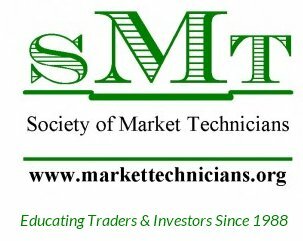 Join us for our fifth meeting of 2018 when we will have three member presentations: Stan Galicki will present “Options Basics” with tips on using options for stock trading in the current environment. Richard Messalle will present his analysis of the AIM software strategy and Sondra Katz will present Thomas Bulkowski’s “Patternz” pattern-matching software. Also, the membership is encouraged to bring your own charts and analysis to share at the meeting. If you are a member and have not picked up your SMT lapel pin, see Sondra Katz at the meeting.